Space X is giving its Dragon spacecraft a software upgrade so it might be able to save itself in the event of a rocket explosion. The decision, announced by company founder Elon Musk, is one of the results of an investigation being carried out into the explosion last month of a Falcon 9 rocket and the loss of its Dragon cargo capsule. It had been heading to the International Space Station. The accident occurred about two minutes after lift-off and was due to the failure of a strut in the rocket's second stage, according to preliminary findings, said Musk. The strut held down a helium bottle inside a liquid oxygen fuel tank and when it failed, the helium tank was propelled to the top of the liquid oxygen tank causing it to release a large amount of helium and precipitating the "over-pressure event" that led to the Falcon 9's televised demise. While the rocket was completely destroyed in the explosion, the Dragon spacecraft survived and continued sending back telemetry data to Space X until it went under the horizon and contact was lost, said Musk. Shortly afterwards, it smashed into the ocean and subsequently sank. "If we had deployed the parachute, we believe Dragon would have survived," Musk said in a conference call with reporters. The Dragon spacecraft lands by parachute, so the hardware is already installed. What was lacking was the software to trigger its deployment in the event of a rocket explosion. "The software on Dragon to initiate the parachute deployment was not in Dragon version 1. It was planned for version 2, so if something like this happens in the future, the Dragon spacecraft will save itself," said Musk. "In Dragon 2, it would thrust itself away from the vehicle quite rapidly and once it reached a decent distance, it would initiate the parachute." The second version of Dragon is the one being designed by Space X to carry both cargo and humans into space, but the new software will be in all future Dragon spacecraft. The next launch isn't planned until at least September. 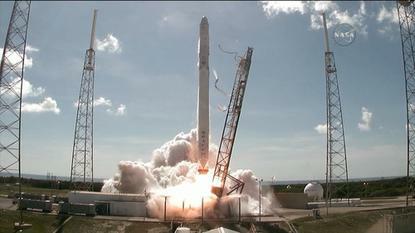 Musk, who several times underlined the preliminary nature of the findings, noted the difficulty of launching rockets. "The passing grade is 100 percent every time. It's not possible to issue a recall or a patch. From the moment of lift off, it's 100 percent or nothing," he said. He also put some blame on company culture. "To some degree the company as a whole became a little bit complacent," he said. The company's last significant failure was seven years ago, when Space X numbered about 500 people, said Musk. Today it employs about 4,000 people so the majority of the workforce have never experienced such an accident. "When you've only ever seen success, you don't fear failure quite as much," said Musk.